With a wealth of experience in mobile app development, design and deployment we have the combined skills to produce the highest quality apps all in one place. Our in house capability means that we never out-source any of our projects allowing us to keep to strict deadlines and work very closely with each and every customer. We specialise in creating bespoke iOS, Android and Web apps. Our technical team are happy to talk you through any project you may have in mind. Whether you are looking for an enterprise app, or you are a budding entrepreneur, we can help. We enjoy working closely with clients ensuring they are happy at each stage from design to launch. If you would like to talk through a project you have in mind, please get in touch today. Get started developing bespoke, beautiful apps on the iOS, watchOS and OSX platform. Bring your ideas to the huge android platform with the help of our skilled android developers. Want to push your app idea forward? We always like to hear new and interesting ideas. If you’d like to talk through your project in confidence, one of our experts will be more than happy to help. Once we’ve got all the information required we can get to work on a proposal for your application. We will look through your basic idea and come up with a strategy for how we are going to achieve it. In the majority of occasions we provide feedback and professional input on the initial idea, helping to make the final project a success. We always aim to give you ethical advice and would never take a project on if we didn’t think it had a successful ending to it. If you’d like to talk through a project, or just find out more about our company, then please get in touch to talk to one of our app development experts. Delighted with the web and app front- and backend work from Atom Engine. Responsive, helpful, professional team, great working relationship. Can't recommend highly enough. I strongly recommend Atom Engine for anyone wanting to create an app or website that do actually work! They have shown exceptional understanding and engagement with our project with fantastic responsiveness and timeliness. Definitely a team that delivers and more. My company has used the team at Atom Engine to help deliver complex apps that integrate with APIs from our back end systems. We have been working with them since 2015 on a number of projects where they have created iOS and Android applications for us. They consistently deliver on time and to the agreed budget. Their skills extend to the the branding and graphic design that is so important when making a great looking app for businesses. I would certainly recommend anyone who is looking to successfully deliver a project to involve this team. 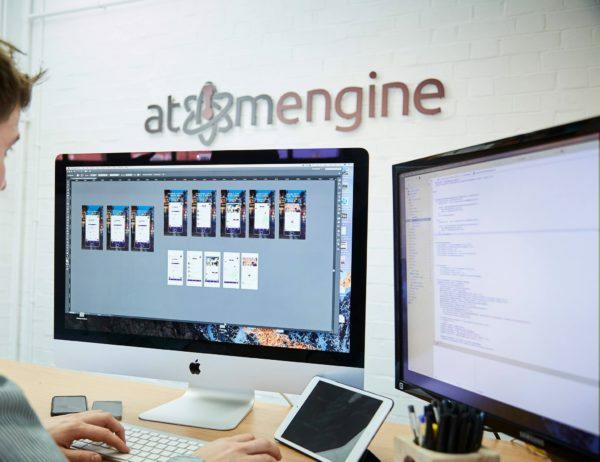 The team at Atom Engine are very talented, they have worked tirelessly to achieve our Web, Mobile & Application goals, I recommend them without reservation. 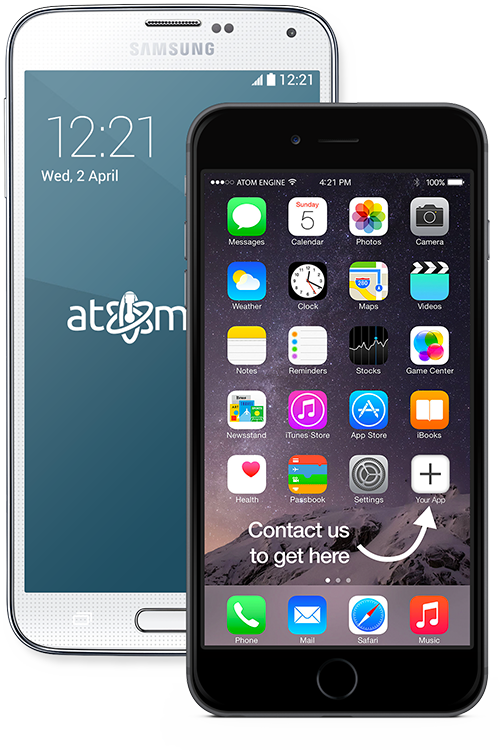 Atom Engine exceeded all expectations in turning a concept into an amazing, easy to use app! The app, ‘Alfie Can’ was designed to support children with complex needs, allowing them to tell their own story. Atom Engine spent time listening to the requirements and were able to really understand the needs of the children who would be using the app, altering the design to truly work for them. From the colourful design to the considered ease of use, their aim was always creating an amazing UI and that’s clearly evident in the end product. At each stage of development, I was kept completely up to date, and was frequently given the opportunity to talk through anything I didn’t understand. Communication was frequent, really clear, and super accessible – which is really helpful for someone who doesn’t have a technical background. I really can’t recommend Atom Engine more highly - the product is incredibly simple to use, but is underpinned by reliable tech and supported by a team with a huge amount of knowledge, who genuinely care about what they create. Thanks so much!